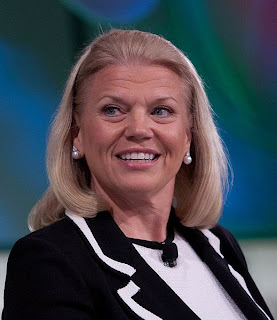 International Business Machines (IBM) has named Virginia "Ginni" Rometty as its CEO. She is the first woman to hold the post in the company's 100-year history. When Rometty, 54, steps into her new post on January 1, IBM will become only the 17th Fortune 500 company led by a woman. 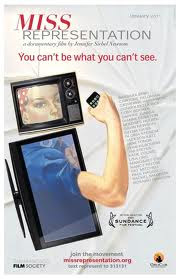 Bobby Cameron, an analyst with Forrester Research, told the San Francisco Chronicle "I think she's smart. She asks questions; she doesn't just come in with an agenda, and she's interested in the leading edge, not just what's driving volume — all those things are important for a CEO to have." Rometty joined IBM as an engineer in 1991. She replaces Sam Palmisano, 60, who will serve as the company's chairman. Meanwhile, the Detroit Free Press has reported that women hold "about a third of the board seats" at three large Michigan-based corporation according to Inforum, "a professional women's alliance," claiming 1,800 members throughout Michigan. In its Women's Leadership Index report, Inforum acknowledged automaker General Motors, staffing firm Kelly Services and office furniture manufacturer Steelcase for their commitment to gender diversity. To gather data for the Index, Inforum partnered with Eastern Michigan University's College of Business. Inforum has published The Women's Leadership Index every two years since 2003. In a press release, Steelcase CEO James Hackett said, "We see women in leadership as a real strength at Steelcase. I've seen a number of women rise through the ranks and bring major contributions to the company that has significantly impacted our business in a positive way." Inforum's CEO Terry Barclay says that while these companies provide "glimmers of hope" for women aspiring to corporate positions, but says "the pace of change appears to be slow, some might say glacial." For Michigan's top 100 public companies, the survey found that out of 662 executives, only 83 -- or 13.3 percent are women. And, only 88 of the companies' 849 board seats -- or 10.4 percent -- are held by women. That number is up less than one percent since 2003. "Will the next Steve Jobs be a woman?"